Twenty lactating Alpine goats were randomly allocated to four treatment groups to investigate the effect of pasture feeding with different levels of concentrates on composition of Alpine goat milk and quality of Domiati cheese during lactation. Goats in Group A were confined and fed alfalfa hay with 0.66 kg/d of concentrate mixture per 1.5 kg of milk. Groups B, C and D were rotationally grazed and received 0.66, 0.33, and 0 kg/d of concentrate supplementation, respectively. Milk from each group was processed into Domiati soft cheese twice monthly for a 6-month lactation period. Fresh cheese samples were evaluated for sensory quality. The results obtained from this experiment indicated that goats fed a high concentrate level with pasture grazing (Group B) produced milk with significantly higher contents of fat, protein and total solids and thus had a higher cheese yield than goats kept on pasture alone (Group D) or under a confined feeding system with concentrate and hays (Group A). The change of Domiati cheese yield over lactation followed the same trends of fat, protein and total solids in goat milk. The chemical composition of Alpine goat milk and the yield of Domiati cheese varied significantly during lactation, with high values in the early and the late lactations. Contents of milk fat, protein and total solids were highly positively correlated with Domiati cheese yield. The milk fat content had an adverse effect on the cheese flavor score while the level of total fatty acids in milk was positively correlated with the flavor score. 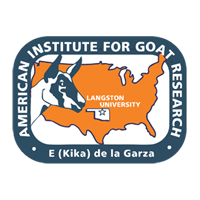 Further research is needed to investigate the economical efficiency of milk production using concentrate supplementation to lactating goats and the processing functionalities of goat milk for cheese manufacturing.